No matter how cold the winter, no matter how deep the snow; Spring eventually comes. The cycle of life continues and I am so glad it does. It is a beautiful reminder of the new thing God wants to do in your life and mine. Living in the past only accomplishes one thing - keeping us from living in the present. Don't get me wrong. Wisdom tells us to learn from the past, but it in no way would have us take up our residence there! Like this robin, who showed up in our yard this afternoon, I am ready to welcome Spring into my life. I am ready to step out into the next season of my life. 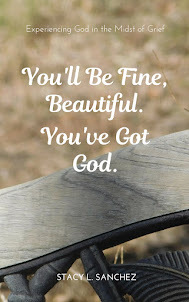 God's do overs are so wonderful! I love how he makes beauty from our ashes too.